A station roof! 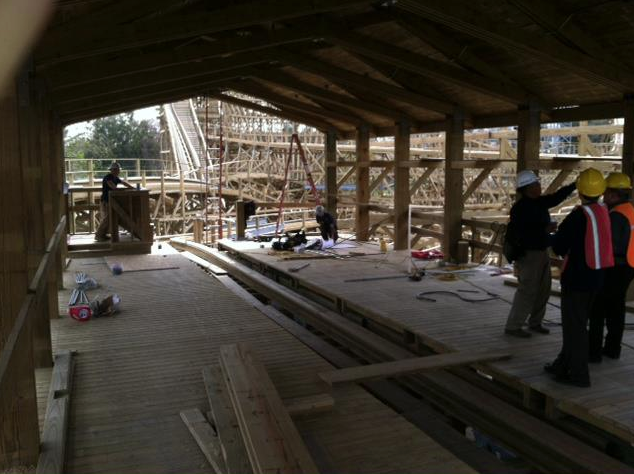 Yes, a roller coaster at California's Great America is going to have a roof over its station - pretty nice development, eh? The park has traditionally banked on its wonderful weather and not built covered stations, but that's all changed with Gold Striker. 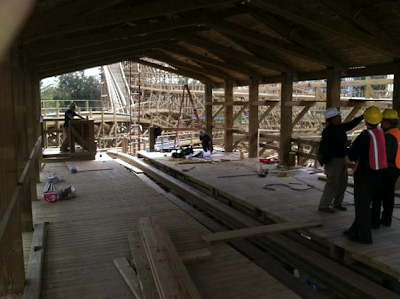 The park shared this photo of the view standing inside the structure. Just look at all that twisted track in the background! 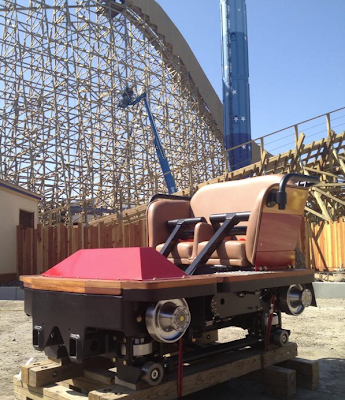 And in even bigger news, the park has just received Gold Striker's trains from the manufacturer in Pennsylvania. The parked one out front to show it off a little - and rightfully so. Those Great Coasters cars are a thing of beauty! Also notice in the background that the tunnel on the first drop has made quite a bit of progress, and looks fully enclosed at this point. No official opening date has been announced for Gold Striker just yet - but I'm sure it won't be long until we hear for sure!